Julia's Fashion Minute: Polka dot manicure : Blue with pink & yellow. 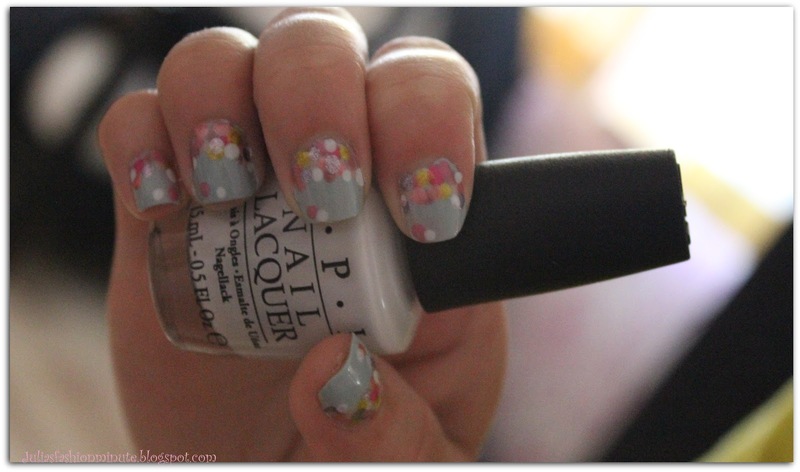 Polka dot manicure : Blue with pink & yellow. Today I'm going to show you my Polka dot manicure. I'm totally in love with it & ít's inspired by MissJenfabulous her manicure. But non the less you can still see the colors I used & the nails, aren't they fabulous? This was actually the first time using my new dotting tools. I'm super happy with them and I'm deff planning on doing more nail tutorials with them. The colors that I used are: Who's the boss [Essie], Royal flush blush [O.P.I. 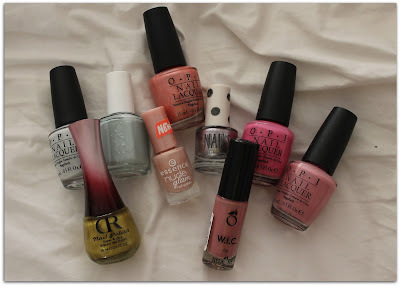 ], My boyfriend scales walls [OPI], Shorts story [OPI], Sparrow me the drama [OPI], Eyes of steel [Topshop], Iced strawberry cream [Essence], Guatemala City [W.I.C.] & color 16 [ CR - Care Romeis beauty].